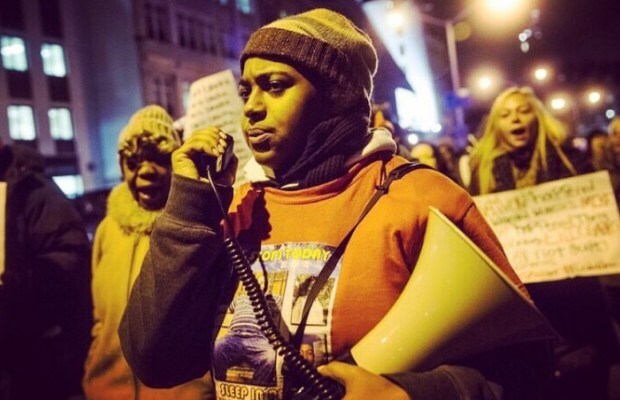 The official Twitter account of Erica Garner—the 27-year-old civil rights activist and daughter of Eric Garner—confirmed that she passed away Saturday after being hospitalized following a heart attack. This entry was posted in Civil Rights, Corruption, Demonstrations & Protests, Government, National Security vs Police State, Peaceful resistance, Racism, Social Justice, Solidarity and tagged Bernie Sanders, Civil Rights, Corruption, Equality, Eric Garner, Erica Garner, Fight for 15, Human rights, NAACP, Nina Turner, Police Brutality, Protests, Racism, Rev. Al Sharpton, Rev. William Barber, Shaun King, social justice, Solidarity on December 31, 2017 by ew.